Almost every week, there's a new book about the Trump White House. But Bob Woodward's book is in a category of its own. On Wednesday, Barnes & Noble said "Fear" has had the "fastest sales for an adult title since Harper Lee's 'Go Set a Watchman' was released in July 2015." Also on Wednesday, Woodward's publisher Simon & Schuster announced that more than 750,000 copies of "Fear" have been sold as of Tuesday, the first day it went on sale. It's a testament to the widespread interest in, and concern about, the Trump presidency. Woodward's book describes a dysfunctional White House where some of Trump's own aides think he is a danger to national security. On Amazon, "Fear" is the No. 3 overall top seller for the year. No. 2 is the "Last Week Tonight" parody of a children's book about the Pence family bunny. And No. 1 is Michael Wolff's "Fire and Fury." What distinguishes Woodward is his decades of reporting on Washington. He has written or co-written 19 books, including "Fear." So when he sounds an alarm, it's serious. 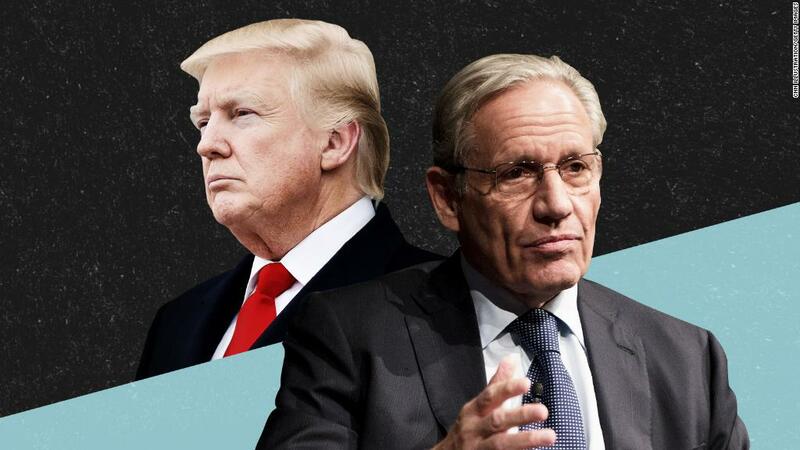 "I've never seen an instance when the president is so detached from the reality of what's going on," Woodward said on NBC's "Today" show earlier this week. On NPR's "Morning Edition," he said people are "underestimating how serious all of this is." He said "people took actions to protect the country because the president wanted to do things like withdraw from a trade agreement in South Korea." Woodward's media tour is surely helping stoke sales of the book. But what really seemed to help sales are the early leaks from the book and the resulting condemnations from President Trump. In response to the rush of "Fear" pre-orders, Simon & Schuster ordered hundreds of thousands of extra copies. On Monday the company said "we have reprinted six times for a total of seven to meet extraordinary demand -- that will put one million books in print before we've even gone on sale." The book is selling well outside the US, as well. It's also No. 1 on online charts in Canada, the UK and Germany. Simon & Schuster said that foreign rights to the book have been sold in 16 countries.